Bianca is a recent Communications graduate majoring in Journalism and sub-majoring in Media Production. After working in the hospitality industry, she now works for MyRecruitment+ as the Writer and Content Marketing Specialist. 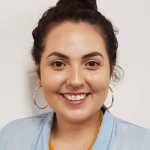 Bianca has a passion for writing and connecting with people and aspires to become a successful journalist. Her hobbies include listening to South American music, reading and playing with her dog.